Although our winter has been snow free for the most part, we finally got a good storm on Sunday night. Maddy was definitely not impressed when we told her that she had to go out before bed. "I am NOT going out there!" 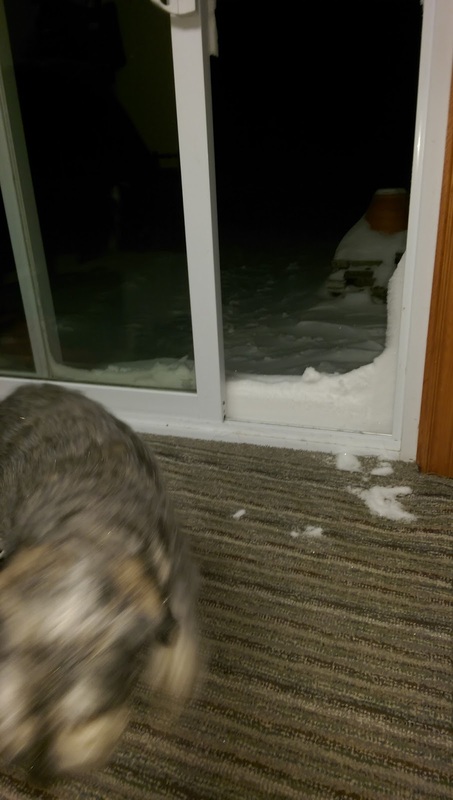 We had to shovel out the door so she would even consider going out. As it was, she only went 2 feet, did what she needed to do, then jumped back to safety. Overnight, the storm raged. The wind blew and it was almost assured that Monday would be a snow day. The kids (and I) were not disappointed. 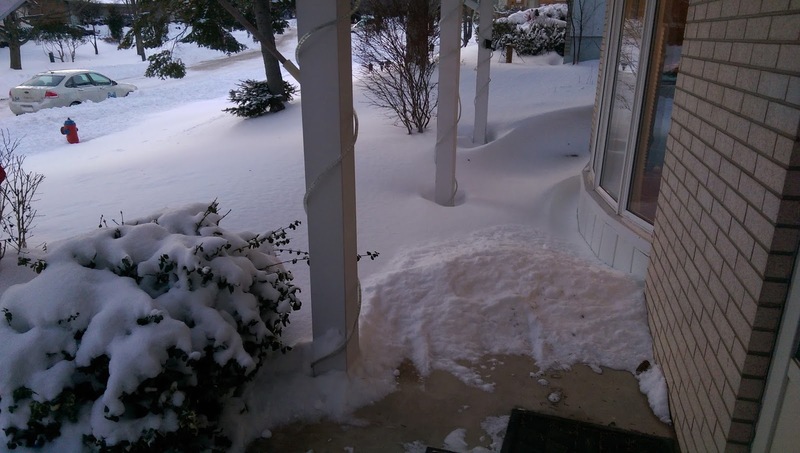 Wendy, however had to go to work, so Adam got out the snowblower for the first time this year and did the driveway. Maddy again was faced with her nemesis at the back door. With over a foot of snow in the back yard, Parker had to make a racetrack set of paths/tunnels for Maddy to have a place to run. 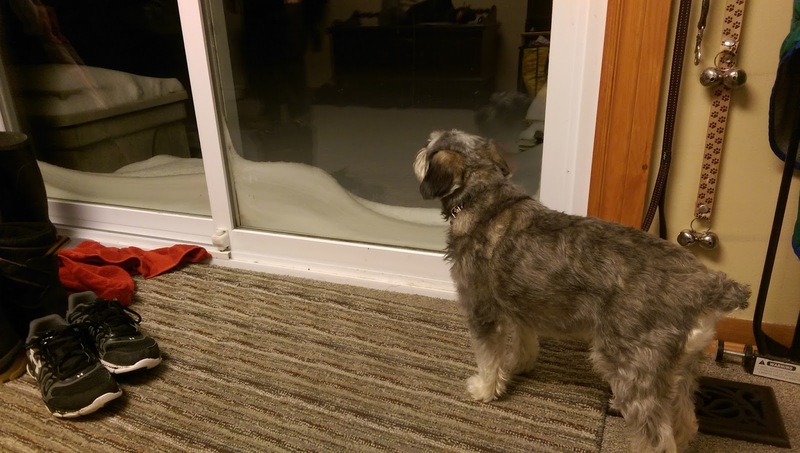 Although it works for her, when she goes outside we can't see her when she is "in the zone" since the snow banks are too tall. 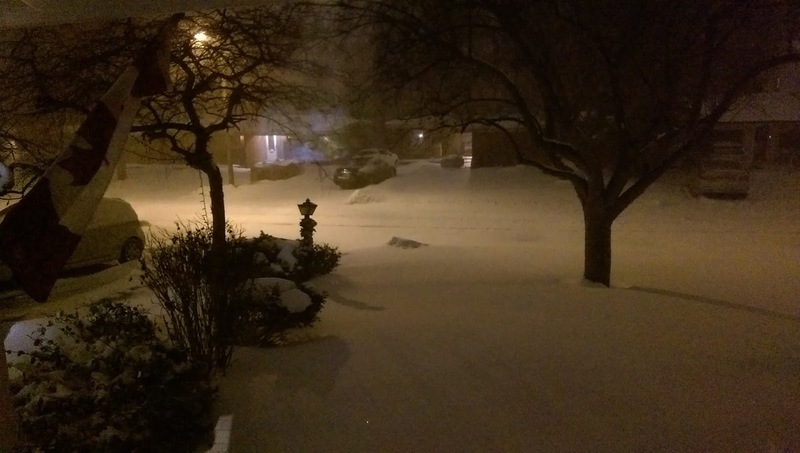 The snow drifted quite a bit out front, so it seems it will be sticking around for a while. We are expecting more snow over the next few weeks, so it is finally not green everywhere.